"The Tacos of Beer?" Sign me up! Pair O' Dice Hi-Lo-Peno Pale Ale cans recently showed up in my local Miami liquor store. 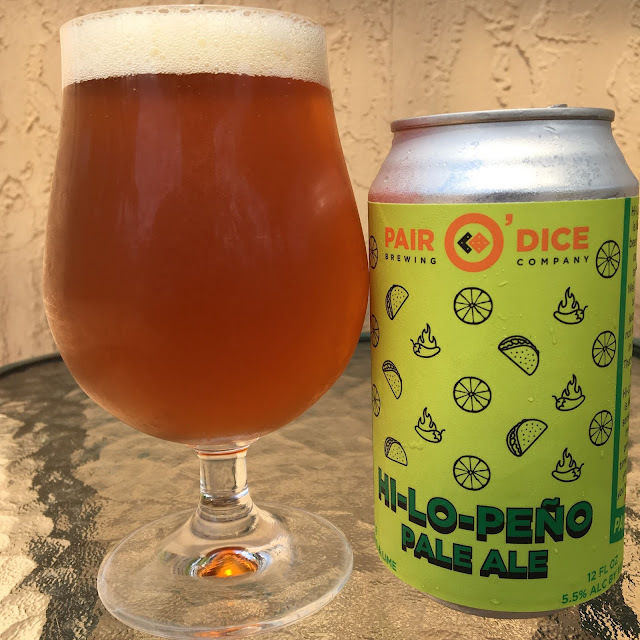 This is a pale ale brewed with jalapenos and limes, but no meat (the story assures you)! 5.5% alcohol. 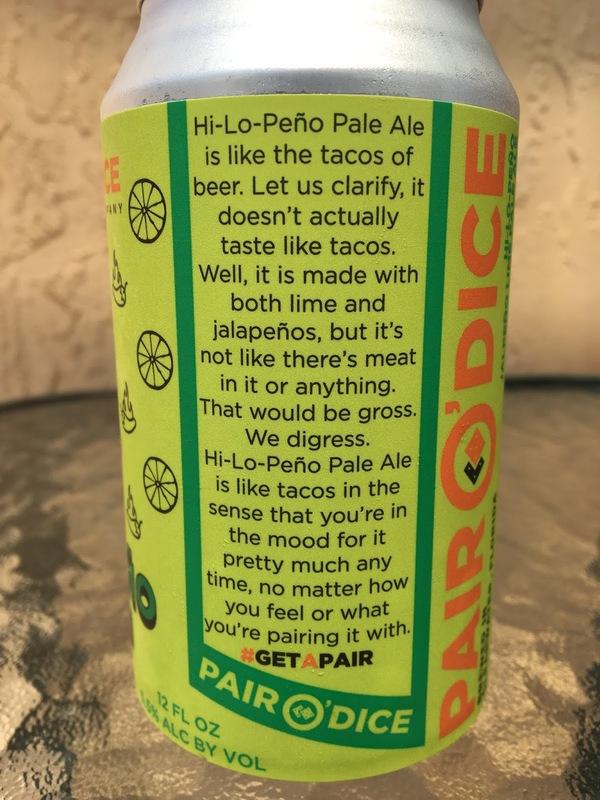 Not much of an aroma, had to work for hints of both lime and jalapeno. Starts like a simple pale ale, lightly bitter. Then some lime starts to show, zesty, citrus. Then some jalapeno in the finish. Next sip, lime starts to jump to the forefront. A few sips later, the lime builds and becomes a dominant flavor, just overwhelms everything else. 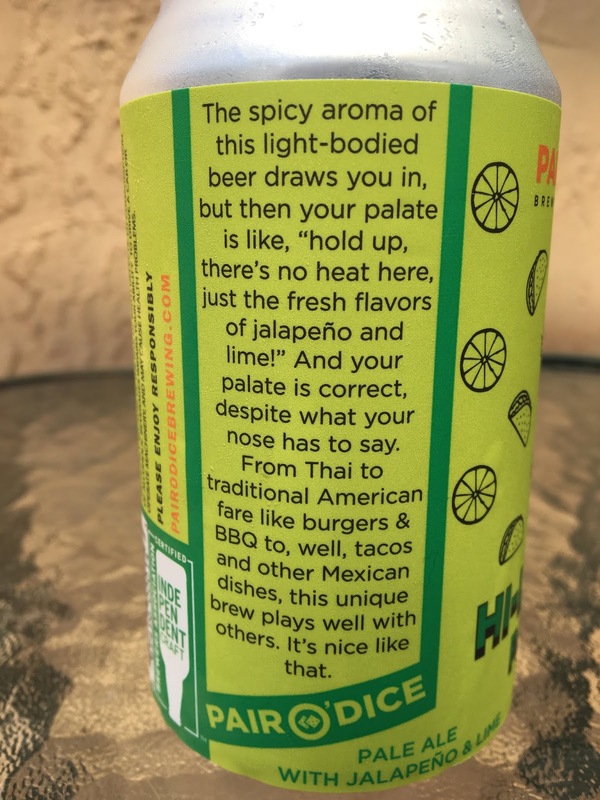 The jalapeno flavor remains a constant, lightly "peppery" and "gardenish" but never spicy or hot. Lime, jalapeno, burp, repeat. Get it?